TLC Moving is a local moving company providing moving services and movers in Boston MA. If you are looking for experienced, professional and local movers in Boston MA, TLC Moving and Storage is your best choice for a local move. TLC Moving and Storage is a full service residential Moving Company and commercial moving company. We can accommodate moves of a single piece or an entire household. 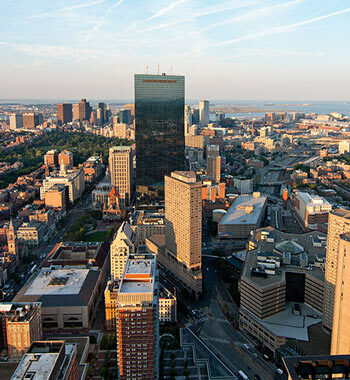 We are strategically located just minutes away from Boston. Our rates can accommodate your budget for your home, apartment or office move in Boston and New England area! Moves within a 100 mile radius are considered local moves with the time based upon an hourly rate. There are NO extra charges for things like extra stairs or elevators. We provide as many wardrobe boxes that you need on the day of the move so you don’t have to box your hanging clothes. TLC Moving and Storage have specialized equipment for larger pieces such as flat screen tv’s, pianos and safes. Life is full of heavy stuff. Why add moving to your load? Let us carry it. At TLC Moving and Storage, our experience, training and above all our peak performance will insure your satisfaction, making us your Boston Moving Company. Our movers carefully pack your possessions and take the same care with the delicate items as the bulk ones. We have years of experience in properly packing, handling and transporting your possessions. Your possessions are priceless to you, so they become priceless to us. Our expert relocation consultants will provide you with a local moving estimate either over the telephone or onsite free of charge. Boston, Allston, Brighton, Backbay, Bay Village, Beacon Hill, Charlestown, Chinatown, Dorchester, Downtown Boston, East Boston, Fenway, Kenmore, Hyde Park, Jamaica Plain, Longwood, Mission Hill, North End, Roslindale, Roxbury, South Boston, South End, West End, West Roxbury, Watertown, Cambridge, Somerville, Medford, Malden, Arlington, Waltham, Newton, Everett, Quincy, Stoneham, Melrose, Auburndale, Reading, Lexington, Salem, Peabody, Woburn, Revere, Marblehead, Beverly, Brockton, Weymouth, Cape Cod, Framingham, Marlborough, Concord, Wilmington, Lowell, Scituate, Randolph, Rockland, Attleboro, Stoughton, Worcester, Taunton, Ashland, Leominster, Maynard, Bilerica, Tewksbury, Sudbury, Lynn, Gloucester, Rockport, Newburyport, Lawrence, Andover, Norwood, Winchester, Wellesley, Cape Cod. We also serve all of New England, New York, New Hampshire, Vermont, Rhode Island and beyond.